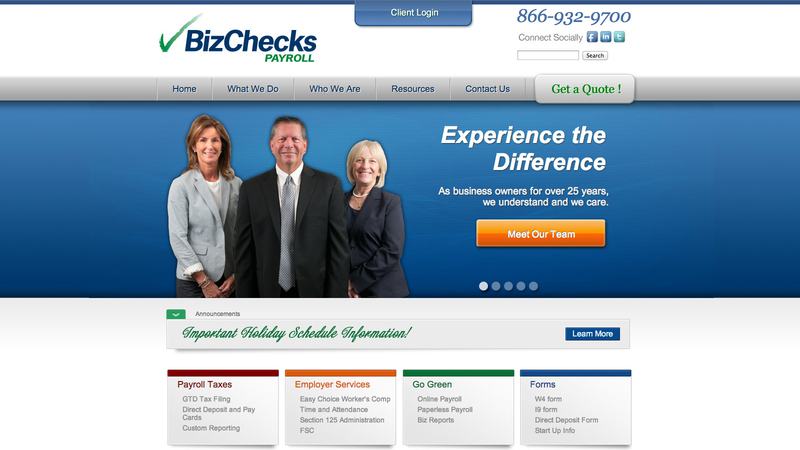 Bizchecks Payroll provides payroll and employee benefit services to business around Cape Cod and South Eastern Massachusetts. Gordon Multimedia provided this client with custom templating and database programming that allows them to generate unique and fresh content. This kind of content is great for search engine optimization. This project also included branding, professional photography of their staff, and fine tuned web graphics to cater to their specific requests. Visit this Cape Cod payroll service website.